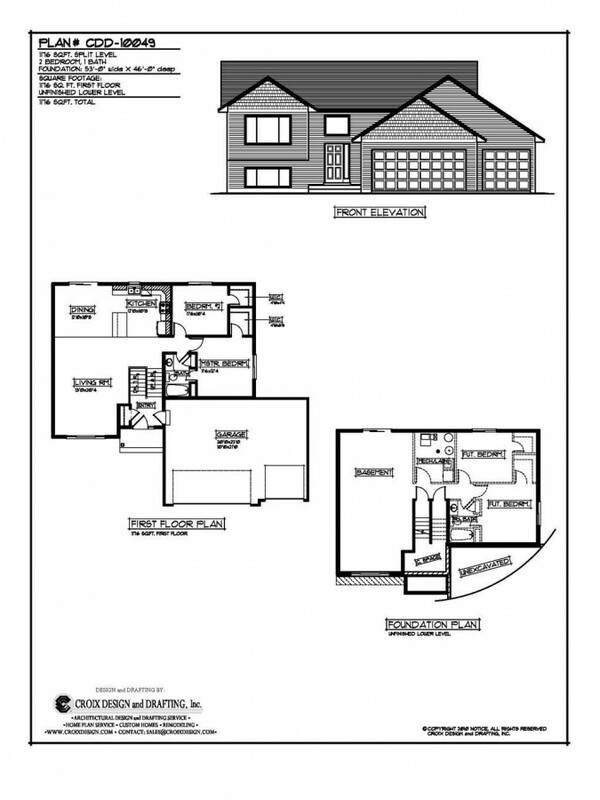 This split level home has 1260 finished s.f on the main level. 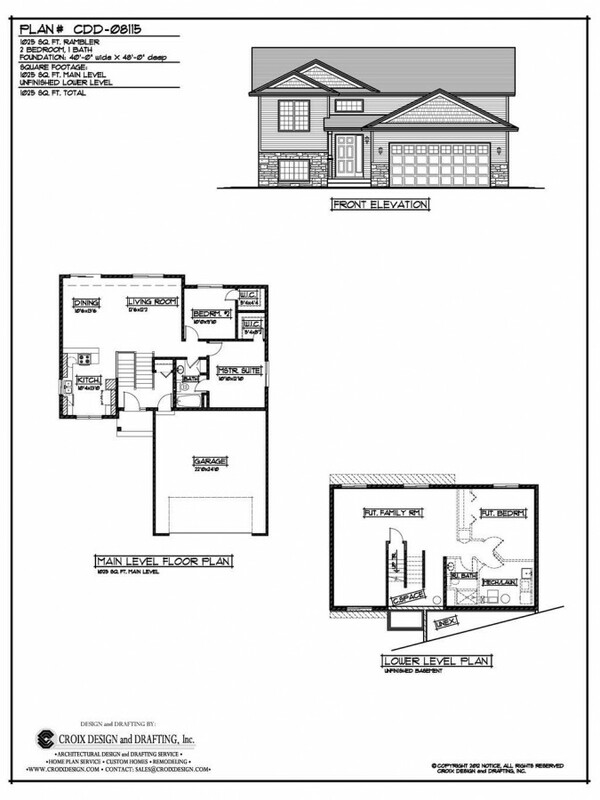 The left portion of the floor plan when you come up the stairs has the master bedroom and master bath. 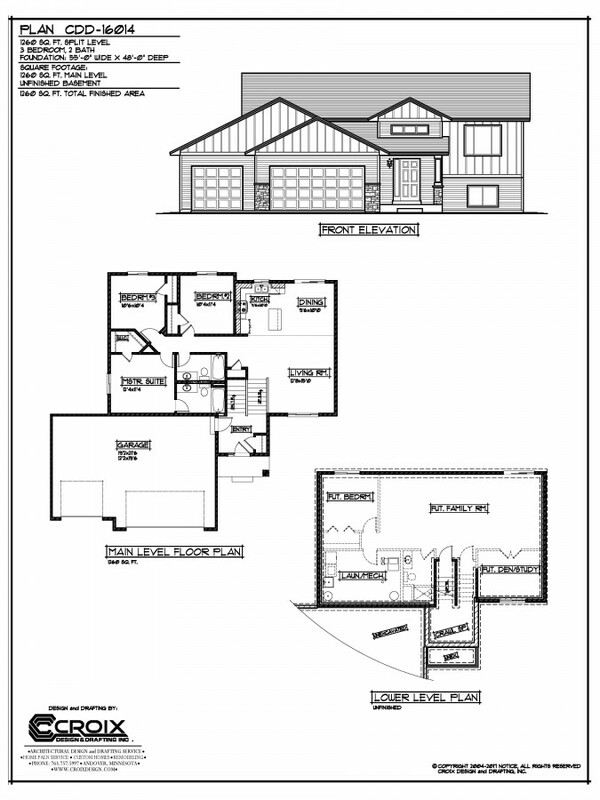 There is also two additional bedrooms and one bathroom. 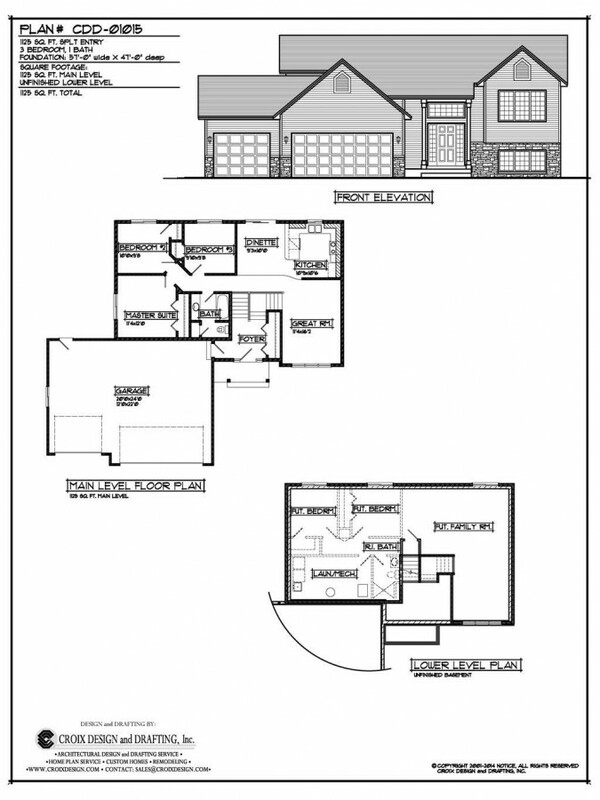 To the right of the stairs is the living room, and to the back of the floor plan is the kitchen and dining room. The laundry room is in the unfinished lower level.